B.Tech: JEE Main exam; B.Pharm: Completed 10+2 in PCM/ B with minimum 45% marks; BHMCT: Completed 10+2 with English as the main subject with minimum 45% marks; MCA/ MBA: Completed any Bachelor’s Degree with minimum 45% marks. 40% marks for reserved categories for all courses. The following acceptance criteria holds for Uttarakhand Domicile and Academic domicile only. Minimum Marks: To apply UKSEE 2019, candidate should pass Diploma examination from an AICTE approved Institution or B.Sc. Degree defined by UGC; with at least 45% marks (40% in case of candidates belonging to reserved categories) in appropriate branch. Stream: In case of students belonging to B. Sc. Stream, shall clear the subjects(Engineering Graphics / Engineering Drawing and Engineering Mechanics), The supernumerary seats of B. Sc. Stream can be filled with students belonging to the Diploma stream. Course: The students, who have passed Diploma in Engineering and Technology or B. Sc Degree shall also be eligible for admission to the first year Engineering Degree courses and lateral entry is exhausted. Qualification: Passed 10+2 examination with Physics and Chemistry as compulsory subjects along with any 1 subject like Mathematics/ Biotechnology/ Biology from any recognised board. Obtained at least 45% marks (40% in case of candidates belonging to reserved categories) in the above subjects taken together. Qualification: Passed Diploma examination from an AICTE approved Institution, with at least 45% marks (40% in case of candidates belonging to reserved categories) in the selected program. Qualification: Passed 10+2 board examination. Obtained at least 45% marks (40% for candidates belonging to reserved categories) at the qualifying Examination. Qualification: A Bachelor’s Degree of minimum 3 years duration from a recognised institution, with Mathematics at 10+2 level or at Graduate Level. Obtained at least 50% marks (45% for candidates belonging to reserved categories) at the qualifying Examination. 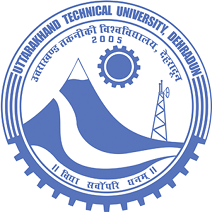 The following acceptance criteria hold for Uttarakhand Domicile and Academic domicile only. Qualification: Recognized Bachelor’s Degree of minimum 3 years duration in BCA, B. Sc (IT/Computer Science) with Mathematics as a course at 10+2 level or at Graduate Level. Obtained at least 50% marks (45% for candidates belonging to reserved categories) at the qualifying Examination. Qualification: Bachelor’s Degree of minimum 3 years duration in BCA or B.Sc from a recognized institution. Obtained at least 50% marks (45% for candidates belonging to reserved categories) at the qualifying Examination. qualification required for B.Pharm lateral entry? Read here for more details about Eligibility Criteria. I am a Bsc Student, what subjects should i have to apply? In case of students belonging to B. Sc. Stream, shall clear the subjects(Engineering Graphics / Engineering Drawing and Engineering Mechanics), The supernumerary seats of B. Sc. Stream can be filled with students belonging to the Diploma stream. I did not have maths as my main subject in 12th. Am I eligible to apply for the MCA course? No, you are not eligible to apply for the MCA course. The candidates must have mathematics as a main subject in 12th standard to apply for the MCA course. What is the minimum marks required for the engineering candidates? The engineering candidates must have a Diploma certificate with 45% marks (40% in case of reserved category).